Apart from providing video hosting and sharing features, the YouTube platform also has an online editor which is going to provide you with the possibility to make changes and additions online without having to download any particular program. In this guide, we are going to show you how to make your video shorter or longer with YouTube online video editor. For instance, the application is offering non-linear ripple video editing. This is going to allow you to combine multiple video clips and pin them together conveniently. What is more, you can also apply PIP and Green Screen professional effects with just a few clicks. Sure, the YouTube video editor is a perfect solution for those who don't want to achieve professional quality, but if you do, Wondershare Filmora is without a doubt the far better alternative. This is something that's going to enable you to edit and re-touch your videos as well as to size them appropriately. Instead of dragging two bars together, you will be able to touch every single frame and size it according to your own particular needs. This is going to result in flawless videos. The YouTube video editor is easy to use, and you can easily learn how to do all sorts of changes to your video. Let's see the things that you need to go through in order to edit the length. In order to do so, you would have to go ahead and login into your account. Then, go to the “My Channel” panel and select the video that you want to cut. Once you've done this, click on the “Video manager” option and click on the “create” tab which should be located on the right side for the page. There, you will be able to find the “Video Editor”. 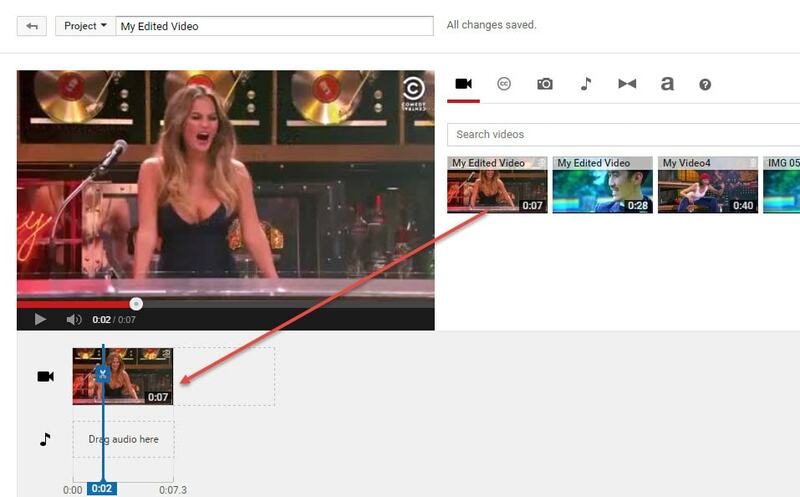 Of course, you can also add “/editor” to YouTube's URL, and you would be good to go. Once you've done all of the above, you would have to drag your video in order to cut it's time. Keep in mind that the videos are made out of a maximum of 50 clips. The site is going to save every single video that you upload as a particular clip which could be properly combined with the rest in order to make one larger video. This is important. This is the part where you actually get to edit the length of your video. In order to do so effectively, you have to drag the bar at either end of your clip towards the other end in order to shorten the clip conveniently. What is more, if you want to increase the length, you have to drag the bar to the opposite end – outwards. 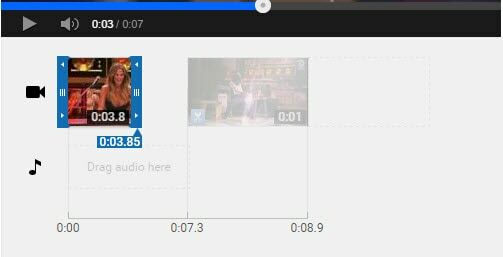 There is going to be an indicator which is going to appear at the bottom of the clip, and it's going to show you the overall duration of the file, and it's going to adjust itself as you slide the bars accordingly. Of course, you would have to save the clip in order for the changes to reflect. Even though this might seem like a particularly obvious thing to do, you would be surprise to find out that a lot of people get everything done and then discard the changes by forgetting to save them and their effort goes to waste.